SEO is constantly changing. For this reason it’s easy for clients and marketers to get confused about what techniques, strategies, and practices are helpful and worth investing in and which are no longer useful or worthwhile. 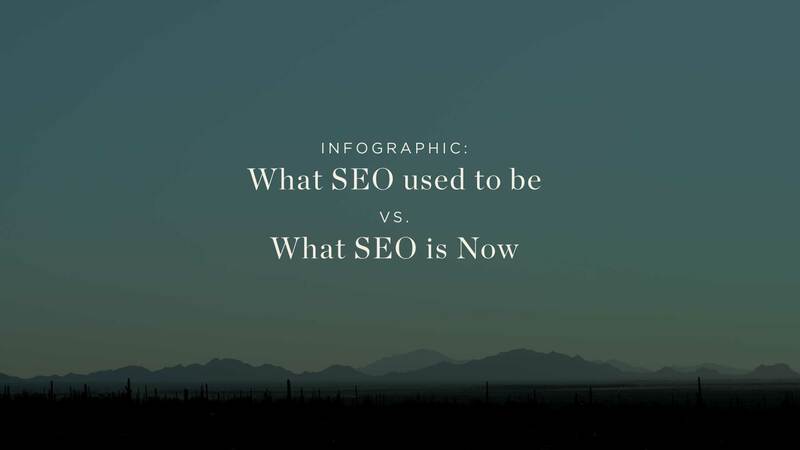 This infographic does a pretty good job of showing the difference between new SEO and old SEO. Warning: if you’re paying for or practicing “old SEO” you’re wasting your time and money.